The Edmonton Oilers have traded former starter (and noted Professor) Ben Scrivens to the Montreal Canadiens in exchange for forward Zack Kassian. For many Oilers fans the name Zack Kassian is associated with a dirty play that broke Sam Gagner’s jaw. Not only did Kassian break Gagner’s jaw, he taunted him for it. This same player is now an Edmonton Oiler – what a difference a couple years can make. As of right now, Kassian has been assigned to the Bakersfield Condors so it’s clear that the Oilers are hoping he can work things out down there before being recalled. Once recalled, it will be interesting to see how Kassian fits in a dressing room that still has some history which his slash on former Oiler San Gagner. Andrew Ference was suspended for taking a run at Kassian after the slash, and Luke Gazdic reportedly challenged him to fights without having the new Oiler answer the bell. Does this even matter anymore? Do guys even care? I guess we’ll find out. On the cap front, it looks like the Oilers have retained 24% of Scrivens’ salary in order to complete the deal. Although this move does still save the team a few shekels it is not as much as initially anticipated which has me wondering if something else could be happening. I guess I just can’t see a scenario where both Luke Gazdic and Kassian are taking up two roster spots on this team. There’s a ways to go before a decision like that is to be made though, Kassian hasn’t played a game since last season and surely have to knock off some rust. Until then, we wait. I wanted to wish you good luck in Montreal. I know things didn’t exactly work out for you, in your home town, and for that I apologize. After that 59 save shutout I thought that maybe the Oilers had found their goalie of the future, and maybe you thought that too. Unfortunately, the team in front of you wasn’t poorly constructed and you didn’t play as well as maybe you could have so our relationship has to end. I know these last few months must have been hard for you, in the AHL. I’m sure it wasn’t easy going to work down on the farm when your own personal expectations must have had you playing somewhere in the NHL. On the bright side, you made millions of dollars to play the game you played for free as a kid and that’s a win in my books. Right? Right. My hope is that this stop in Montreal lands you another NHL contract, and that you continue being the smartest guy in an NHL dressing room for years to come. Before that can happen there’s plenty of work to do in Montreal, and I hope you’re up for it. You’re going to be filling in for the best goalie in the league in one of the biggest fishbowls in the hockey world. No pressure. All the best in Montreal, Ben. I hear they have excelled smoked meat sandwiches, strip clubs, poutine, and access to unfiltered cigarettes. My guess, Oil will see if he can straighten life out in AHL, if not, won’t see light of day w/ NHL club. Decent player with size PC wants. I’m happy that Ben Scrivens gets another chance to play in the NHL. Kassian better be prepared to answer a tonne of Sam Gagner questions. 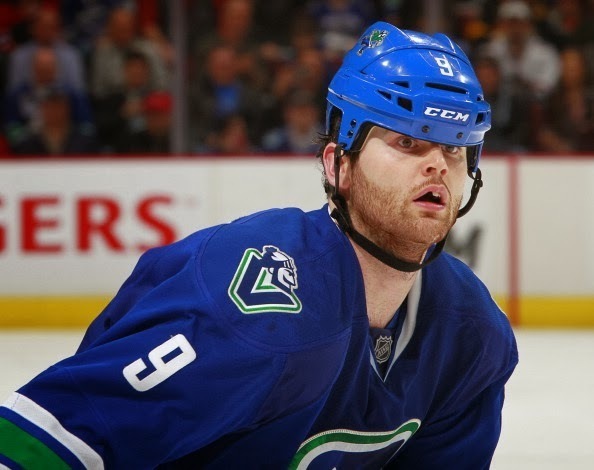 Zack Kassian seeking trade out of Edmonton? Just to add on about Jujhar… When he is in the lineup he creates energy on the ice and I have seen him more than once more than happy to challenge other teams tough guys. Pretty much sums up this trade. Watching last night’s game made me appreciate the 2005/2006 Oilers so much more. They weren’t as skilled as our current team but boy were they mean and nasty.